We continue our look into short-lived nations and republics of the South. To read part one, go here. The South is probably forever linked to one failed nation: the Confederate States of America. Sure, the CSA lost, and the notion of state sovereignty went with it, but that’s what you get for mixing high-minded ideals with dirty business like slavery. In 1799, that dashing ne’er-do-well William Augustus Bowles (you can read more about him here) proclaimed an area of Florida a sovereign nation known as the State of Muskogee. Born a British Loyalist in Maryland, Bowles had married Cherokee and Muscogee wives, becoming heir to the Muscogee chiefdom. AS an agent of the Bahamian governor, Bowles made himself an enemy of the Spanish, darting up and down the east coast to avoid capture. Along the way, he garnered support for an American Indian state, promising the Lower Creeks and Seminole they would have British support. In 1799, he returned to Apalachicola Bay and declared himself Director General and Commander-in-Chief of the Muskogee Nation. He set about ingratiating himself to the United States and the Spanish. That is, if you consider the voiding of international treaties, threats of war and issuing of death sentences for government agents ingratiating. A respite of hostilities between the British, Spanish and Americans meant the end of British support for Muskogee. Bowles was captured at a tribal council by George Washington’s Indian agent, Benjamin Hawkins. He died in Morro Castle in Havana. Andrew Jackson’s raids during the FIrst Seminole War destroyed the capital town of Miccosuke. Remaining lands were seized by the state of Alabama. The Free Republic of Franklin, also known as the State of Franklin, began its brief life as part of North Carolina. In April 1784, North Carolina ceded territory on its westward border to the United States government as reparations for debts from the American Revolutionary War. Congress was slow to act, and North Carolina rescinded the cession. Settlers in these western counties feared the land might be sold to France or Spain to aid the cash-strapped U.S. In August of that same year, delegates of the western counties voted to secede from North Carolina to create a free and independent state. In 1785, Franklin delegates petitioned the U.S. government for statehood, under the name Frankland. Seven of the thirteen original states voted in favor, but this fell short of the necessary two-thirds majority. They changed the name back to Franklin and sought the support of the republic’s namesake, Benjamin Franklin. He passed. 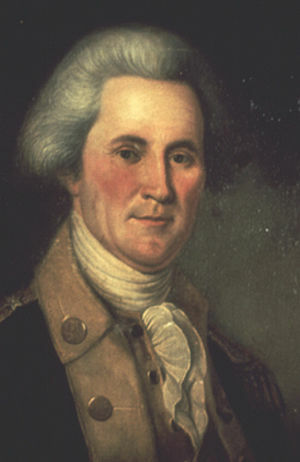 With John Sevier their reluctant leader, Franklin operated as an independent republic with its seat of government in Greeneville. Citizens were given a two-year break from taxes, and there was no monetary system apart from bartering. Development stagnated. 1786 found North Carolina attempting to reclaim the territory. This dual claim on Franklin lasted for a number of years. A battle between Sevier’s supporters and those of Col. John Tipton in 1788 typified the split loyalties of the citizens. The Chickamauga Wars of 1788 made the leaders of Franklin desperate. Sevier sought aid from the Spanish, offering to become a territory of Spain. North Carolina officials arrested Sevier as a result. The leaders of Franklin finally swore allegiance to North Carolina once again. This didn’t impede Sevier’s political career, as he was first elected to congress from the region and later became the first governor of the state that would inherit the former Franklin counties: Tennessee. In its short history, the new nation — which stretched from the Perdido River on the east to the Mississippi on the west with southern boundaries at the Gulf and Lake Ponchartrain — not only adopted a constitution and distinct branches of government, but also adopted an official flag, the “Bonnie Blue Flag” and a marching song for its army. In October of 1810, President James Madison claimed West Florida as part of the Louisiana Purchase. Skipwith and company refused this proclamation, threatening to die in defense of the new nation. They, of course, did not. In December, they ceded the lands to the U.S.
Over the years, discontents will talk about the coastal counties of Alabama and Mississippi joining with the Florida panhandle to create a 51st state. New West Florida, perhaps? While not technically an independent nation, this rebellious Alabama County certainly deserves mention on our list. During the Civil War, the largely poor (and allegedly Republican) Winston County viewed the Confederacy with suspicion. The area was never home to many slaves, and residents there feared the CSA would only further consolidate the power of the planter class in Alabama and throughout the South. At Alabama’s secession convention, Winson Country representative Christopher Sheats refused vehemently to adhere to the state’s secession, so vehemently in fact that he was arrested. After first leading a pro-neutrality group and later speaking in favor of the Union, Sheats spent most of the war in prison. 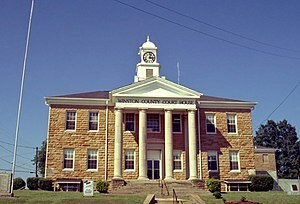 Meanwhile, the people of Winston County held a meeting at Looney’s Tavern where they drafted a number of resolutions, including one declaring their wish to support neither side of the war and one stating that if states had the right to secede from the Union, then counties had the right to secede from a state. Thus the legend of the Free State of Winston was born. By war’s end, pro-union groups and grudge-bearing Confederate home guards had done more damage to the county than any forces outside it. For a number of years in the 1980’s and 90’s, citizens of Winston County drew on their notoriety by hosting a stage musical in the summer entitled “The Incident at Looney’s Tavern.” The play was discontinued just a few years ago. It’s a loose definition, to be sure…but the headline was already too long! Thanks for reading.